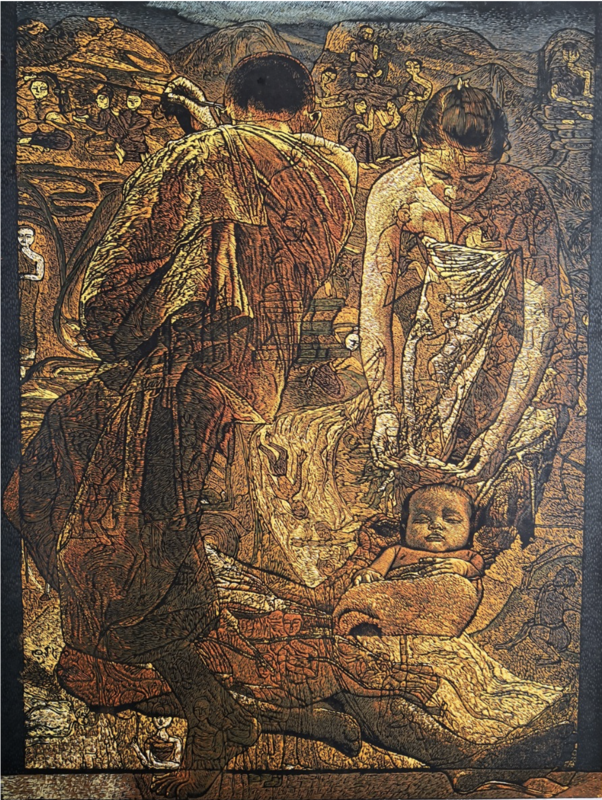 For our coming exhibition at the London Original Print Fair, we have a great collection of original prints from a group of four Chinese artists. Prints depict styles from Northern China’s multi-blocks woodcut as seen in the work of Liu Decai to Southern China’s reduction woodcut, as used by Zhang Xiaochun. Our young artist Liu Jing’s eye-catching portraits series is created with his own new woodcut technique, and we will also have young female artist Hammer Chen’s etchings on display. Here are a few highlights from our exhibition. 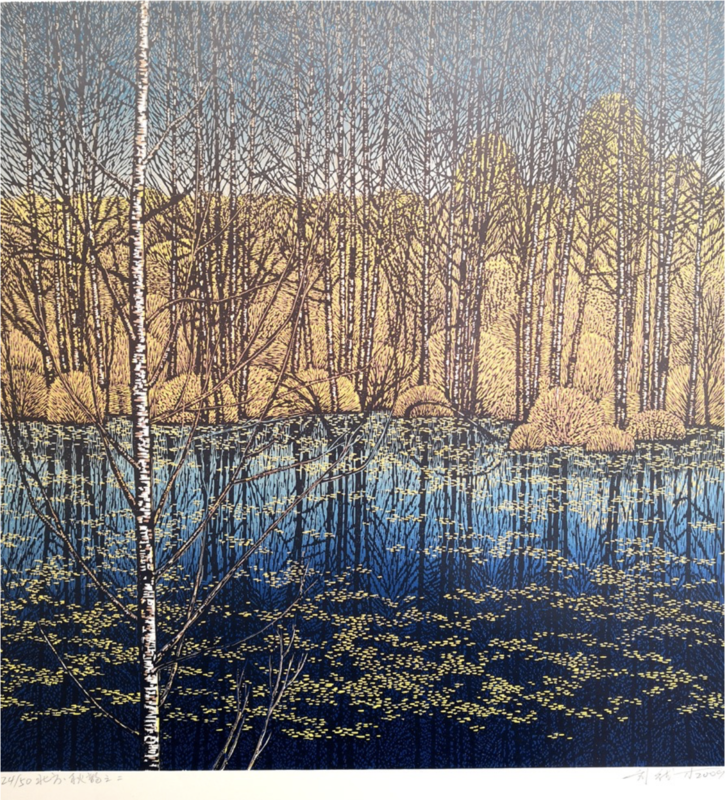 Visit us at the Royal Academy of Arts to see more wonderful contemporary prints from us. We are located at stand 22 this year. 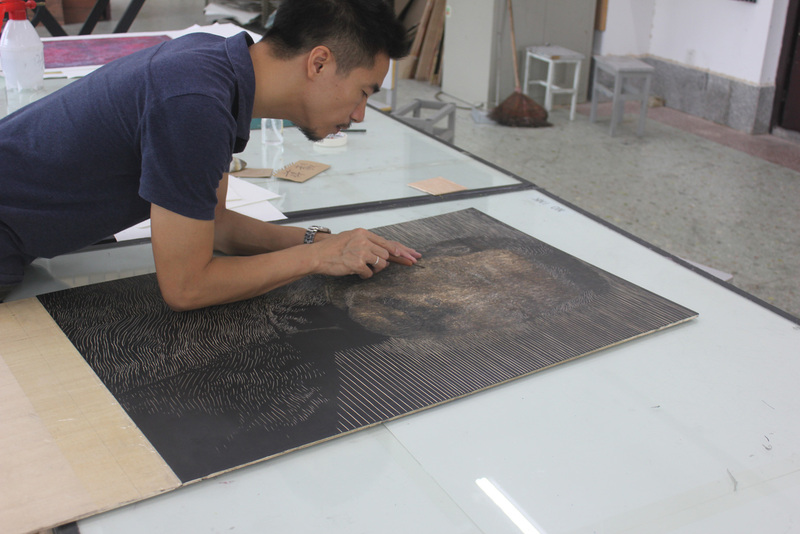 ‘Master’, a series by Liu Jing, is an experimental collection of work which combines woodcut, lithography and other contemporary techniques to create a new language that is far different from traditional woodcut. 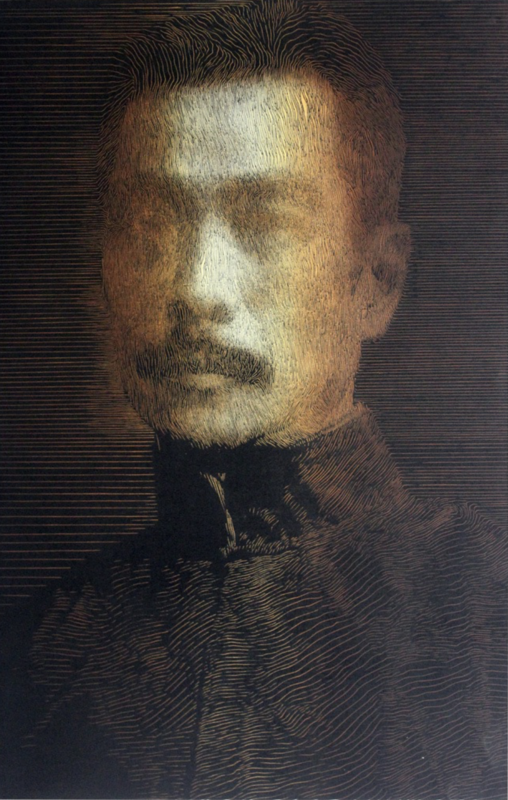 He has created a series of portraits of modern Chinese literary masters, using this technique to express their magnanimity and spirit. Those prints are in-depth and rich in the pursuit of details in the moulding; at the same time, there are weakened contours and edges, used to create the flow and rhyme of the lines. Why chose portraits as a theme? Because they are suitable for language experiments and technical attempts. The portrait is also the most direct and purest method of expression. 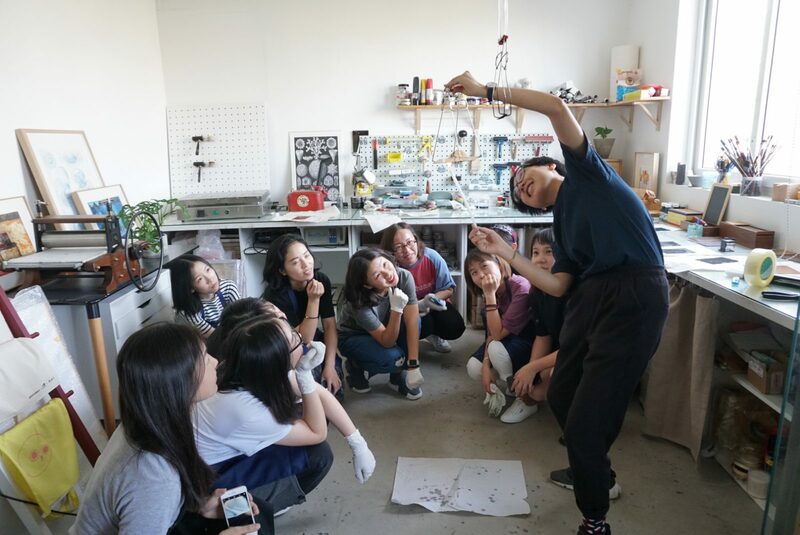 One of the talented emerging female Chinese artists we will be exhibiting the London Original Print Fair is Hammer Chen, whose creative life bounces between Shanghai and London. 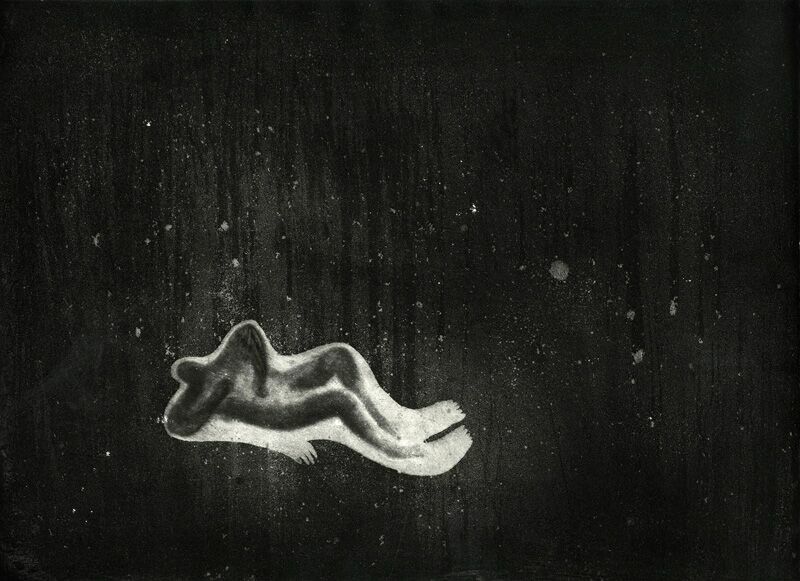 Hammer is a printmaker, an artist and illustrator whose work, as she puts it, stems from an interest in using marks and textures to express sensations and emotions. Her subject is Maladaptive Daydreaming. “Maladaptive daydreaming is a psychological concept to describe an extensive fantasy activity that replaces human interaction and interferes with academic, interpersonal, or vocational functioning.” So the series of works is exploring fantasy, struggle, disconnect between mind, body and self. We hope to see you at the fair, April 25-28. Please email info@artchinauk.com to book free tickets, while they last! More information on the fair itself can be found on the London Original Print Fair website.